As it was rumoured just a couple of days ago, Idea Cellular and Vodafone India have cleared the Rs 7,268 crore dues to the Department of Telecommunications (DoT) to pave the way for the merger. Idea Cellular has submitted the bank guarantee of Rs 3,322 crore to DoT, while Vodafone India has cleared the dues of Rs 3,926 crore in cash. “Idea has submitted its compliance to the DoT’s conditional approval letter dated July 9 2018, for the merger of Vodafone India Ltd and Vodafone Mobile Services Ltd with Idea Cellular Ltd, including the payment of Rs 3,926.34 crore (in cash) and bank guarantee of Rs 3,322.44 crore,” an Idea spokesperson confirmed to ET. Having said that, both the telcos are now looking forward to the final approval from the DoT for the merger. Also, ET reported that the dues had been cleared ‘under protest’ which means that the merged entity can head over to the court to challenge the dues it paid to DoT now. For the unaware, the largest merger in the history of Indian Telecom Sector was stopped by the DoT asking for an amount of Rs 7,268 crore. 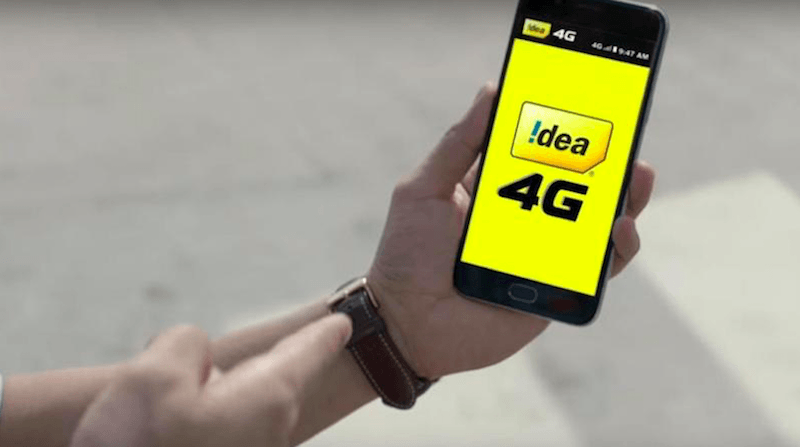 As mentioned, Idea has given a bank guarantee for one-time spectrum charges, while Vodafone India has paid the dues in the form of cash towards market price for non-auctioned airwaves. Idea Cellular has earlier confirmed the merged entity will be named Vodafone Idea Limited. The next step for the department is transferring licenses of Vodafone India and its subsidiary Vodafone Mobile Services Limited (VMSL) to Idea Cellular because it will be the listed entity. So finally, the much-needed approval from DoT is around the corner for Vodafone-Idea merger. The merged entity, as you might be aware of will have over 430 million subscribers, over 37% Revenue Market Share and it will start the operations with Rs 63,000 crore revenue. The next step for Vodafone and Idea Cellular will be to wait for the DoT’s final approval of the merger and combine the operations. 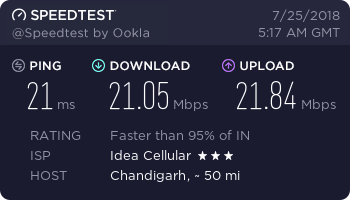 idea speed in my area. I still don’t understand why use Airtel over this. Even in Bangalore , speeds and ping rate are same. 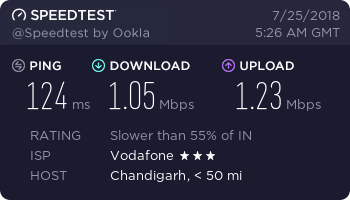 I am surprised why ping rate are so high across India on Vodafone network..